Impress with a Crisp and Easy Cucumber Salad that's almost too pretty to eat! 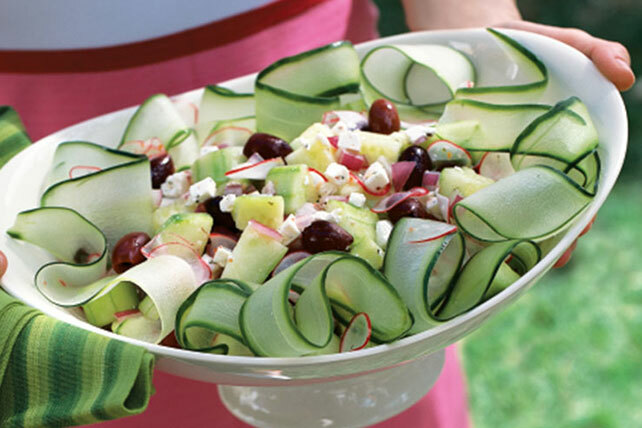 Cucumber ribbons, feta and more make for a stunning yet easy cucumber salad. Prepare with KRAFT Lite House Italian Dressing.